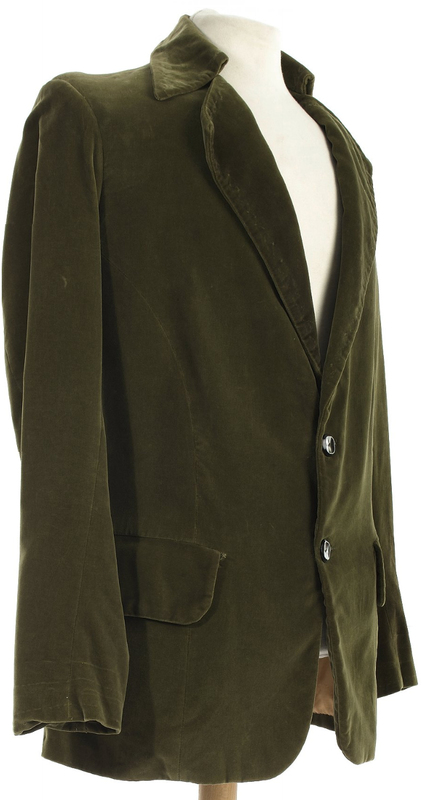 This week’s auction at Bonhams has a real star item on offer: for me it’s not the cape Christopher Lee wore as Dracula in the classic Hammer Films, but the green velvet smoking jacket worn by Jon Pertwee in a handful of stories. 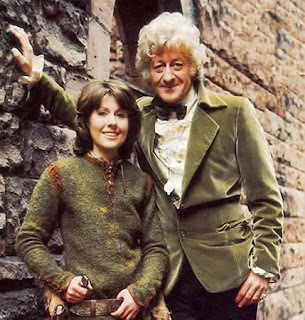 The catalogue listing states it was worn in The Time Warrior, which it was, but this was its last outing. It first appeared in Carnival Of Monsters, and was worn again in Frontier In Space, before briefly appearing in the openings of both Planet Of The Daleks and The Green Death. With the jacket in the viewing, how can I resist the chance to see it close-up. 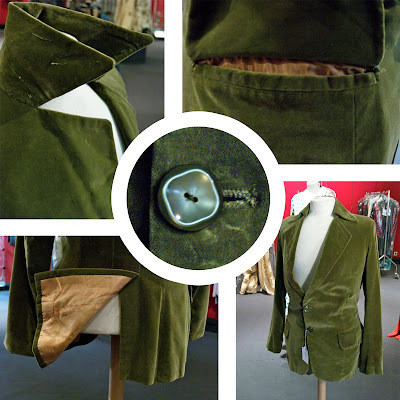 This is the first time I have ever had the chance to see an original screen-used Pertwee jacket to touch. It was smaller than I had imagined, and was showing its age at the corners. I was surprised to find it has a peach coloured silk linking. It was a great opportunity to get some detail photos, and here is a montage of the best ones I took. What color pants, shoes and bowtie were worn with this jacket?